Chancellor's Blog: Everyone knows Danny Lau! Each January we have a very special celebration on campus to recognize UIS employees who have been named Employee of the Month throughout the previous year and to announce the UIS Employee of the year. This celebration is one of my favorite campus events because it provides an opportunity to demonstrate appreciation for the many faculty and staff who provide such a supportive environment for students every day. The 2014 Employee of the Year is Danny Lau - who has been employed in the food service emporium for the past 10 years (after cooking in a Chinese restaurant in Hong Kong for decades). Danny is a legend on our campus. In addition to serving breakfast, lunch and dinner, he is known for dispensing friendly smiles and words of wisdom to students on a daily basis. His fried rice is so revered that staff, faculty and students often start lining up at 10:30 in the morning whenever it is on the lunch menu. 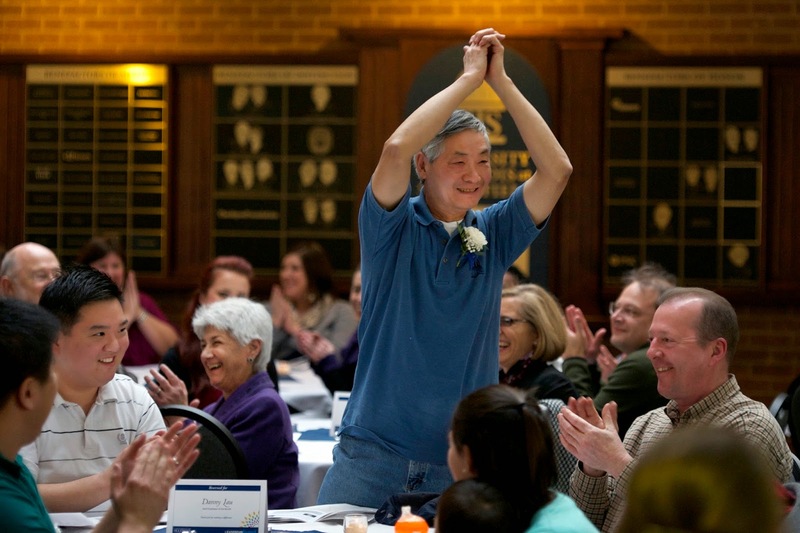 Congratulations, Danny, on being named UIS 2014 Employee of the Year! The short video of the recognition ceremony is a good capture of Danny (and others) and if you haven’t seen the feature video on Danny from a few years ago, it is a good watch too!